Home / Motorsport / Formula E / Formula E – Bright Spark or Blown Fuse? 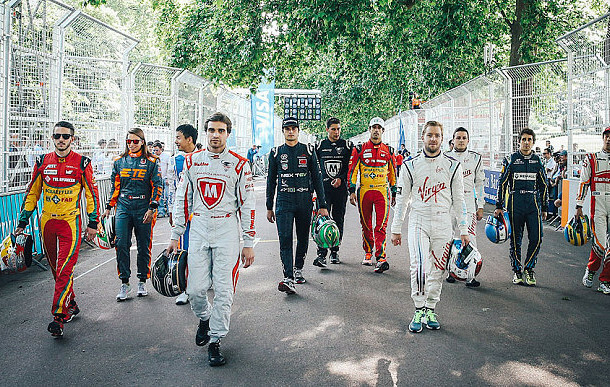 The world’s first ever FIA Formula E World Championship ended last weekend with a double header event around Battersea Park in London. A rather fitting location really, given the area’s historic connection to power and electricity. With the next season not starting until September, we have plenty of time to reflect on the season just gone. And what a season it was! Nelson Piquet Jr. was crowned the worlds first Formula E champion, beating title rival Sebastien Buemi by a single point. And though it might not come as much consolation personally, Buemi’s team e-dams won the teams championship. The Spark-Renault SRT_01E came about after McLaren (transmission, electric motor and electronics), Williams (battery), Renault (technical support), Dallara (chassis) and Spark (construction) came together build a full on high tech electric racing car. It’s a shame they couldn’t collaborate on a better name really. The car boasts 201 BHP and has a 0-60 time of 3 seconds, with an overall top speed of 140 MPH and the batteries are capable of lasting roughly 30 minutes. Whilst the top speed might not exactly blow you away (an F1 car’s top speed for example is about 230 MPH), it’s more than adequate at this moment in time. The only issue I do have with the cars though is the looks. The front wing is too simple, the endplates/fins are massive, the back is too chunky and I don’t like the winglets next to the cockpit. The car isn’t ‘ugly’ per se, but to my eyes it just doesn’t look right. The technology is the result of many man hours of work. The design looks like the result of an 11 year old’s afternoon with a box of crayons. The very nature of Formula E cars means that they can’t race on conventional circuits. They regenerate electricity via heavy breaking, just like Formula 1. But unlike Formula 1, that same electricity is the very thing that keeps them going. So to this end, the tracks need to be fairly short, so that the cars encounter heavy breaking zones more frequently. 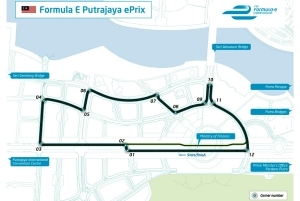 The Putrajaya circuit in Malaysia is a typical example of a Formula E circuit. Plenty of 90° corners (more or less) with short straights in between. 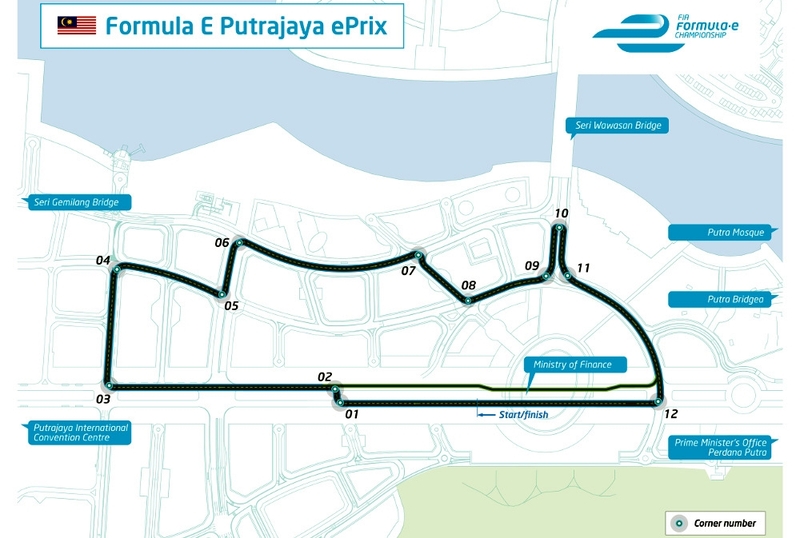 But Formula E has visited some famous street circuits from around the world. This year Fomula E visited modified versions of Long Beach in the US, and even the world famous Monaco circuit. The organisers have managed to keep things fresh though. As well as the aforementioned ‘famous’ tracks, the calendar has also included a race round a public park and the German ePrix raced around the disused Tempelhof Airport. A lot of the tracks are in urban locations, so don’t exactly look particularly aesthetically appealing. But nearly all of them have produced a great and entertaining race, and as the 1981 Caesars Palace Grand Prix proved, a terrible track can produce a great race. And now for the thing that a lot of viewers probably cared about the most. a series can have a lot of promotion and great cars, but if the drivers are sub par then people tend to lose interest. People like to root for someone they have heard of after all. Fortunately Formula E has succeeded in that aspect. With drivers from Brazil, China, Great Britain, Japan, America, France, Switzerland, India and Spain just to name a few, there was no doubt that the average viewer would almost certainly have someone to root for. 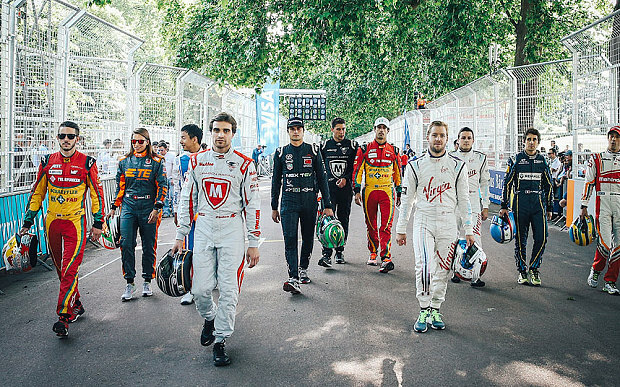 Formula E features an eclectic mix of drivers. Not to mention the big names in that list. Formula 1 stars Nick Heidfeld and Jarno Trulli drove for the entire season, and we haven’t heard a commentator say ‘it’s Senna verses Prost!’ for about 25 years! Bruno Senna and Nico Prost that is. Not to mention the fact the the overall winner of the series, Nelson Piquet Jr., is the son of the 1981, ’83 and ’87 Formula 1 world Championship. If there is one thing this series has, it’s depth. The drivers hail from all over the world of motorsport. Men and women, former F1 drivers, up and coming racing drivers and even the reigning WEC champion have all been competing this season. Overall Formula E has impressed me. Whilst there were plenty of people much more sceptical than me, I still had minor reservations about the whole thing. Would the cars work? Would the drivers been any good? And most importantly, would the racing be worth watching? Fortunately I can say a resounding yes to all of those. Richard Branson, who owns the Virgin Racing team said recently that Formula E would be bigger than Formula 1 by 2020. Whilst I don’t necessarily agree with that statement, I do think that Formula E has a very bright future ahead of it, and I’m thoroughly looking forward to the next season.